I’ve been feeling extremely unmotivated to blog lately. It’s not that I don’t want to, or that there aren’t enough prompts or other ideas to get me started. I just can’t get my fingers moving and actually type that post. I don’t know whether it’s for that reason or in spite of it, but I’ve wanted to restart my Dutch website, blog or both. Of course, I’m uninpsired on that side of the language fence too. Just to get myself back into the swing of things, I’ll just write a list of things I’m happy about this week. I’ve been doing okay in the exercise department. The physical therapist came to my unit on Monday to do exercise with me and I worked out some with the resistance band. On Tuesday, I went to the institution gym and did well there. I’ve also been lifting weights and working out more with the resistance band in my room. Yesterday, I went on the elliptical at home. On a somewhat related note, the physical therapist measured the strength in my hands, believing my left hand would be weaker. Turned out they’re both equally strong (or weak). I didn’t ask whether my strength is much worse than normal people’s. It probably is, but for now, let’s forget that and focus on the fact that my left hand isn’t weaker than the right one. On Wednesday, two student nurses from the locked ward went to the market and there was still room in their car. Since one guy ended up not wanting to go and another woman had just lost her privileges, I was the only one going. We bought fruit for my unit and the locked unit and I got some fish. On Friday, my husband and I went out to buy fries and snacks. Yesterday, my husband made us tortillas. Both times, the food was great. Yesterday, my husband and I went clothes shopping for me. We didn’t find what we’d hoped for, but we did find some great dresses. The weather is good. We were supposed t get thunderstorms all week, but in the institution town we only got one on Tuesday. My husband did get worse thuderstorms. Over the week-end, however, we had beautiful weather at home. Our cat Barry celebrated his third birthday today. My in-laws came and brought an apple pie. Barry himself got some of his favorite food. Phew, it’s November. Did I just say that? Wow! 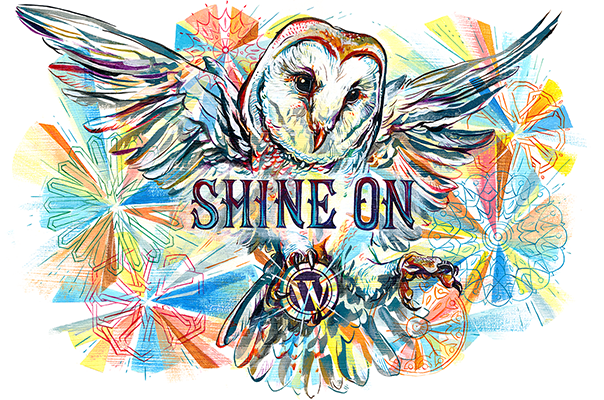 I normally hate november, but today I am just so glad that the #Write31Days challenge is over. The challenge of having to write on one topic for an entire month is huge. That being said, I loved the commitment of writing everyday. 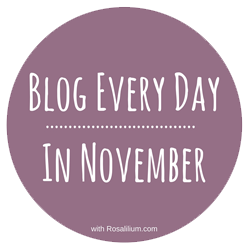 Just today, a day late, I discovered Blog Every Day in November (#BEDN). Like Blog Every Day in May (#BEDIM), this is a prompt-based challenge, but you can write on a different topic too. Today’s topic is “love Mondays”. I was unable to read the full prompt because somehow Google calendar wouldn’t let me, so I am just going to write what comes to mind. Most people love the week-end and feel a little down on Monday, especially Monday morning. Indeed, I sometimes have a hard time transitioning from a Sunday lie-in to a Monday, at which I need to get up at whooping 8:30 AM. I know, my husband might need to get up at 5:00 AM and many more working people get up at seven, but well, for me 8:30 is early. Today, I lay in bed till I truly had to get up at 9:30 because I literally had to start physical therapy that minute. Physical therapy fr me means exercise, because my goal for it is to get into a better physical condition. Consequently, today I was up and lifting weights literally minutes after I’d been lying in bed. This is supposed to exemplify my laziness, not my stamina, FYI. In general though, I’m not one of those people who looks forward to the week-end. Not having a day job means I don’t need to unwind from a 40-or-so-hour work week over the week-end. I find that, during the week, at least there’s some reason to get out of bed, such as day activities. In this sense, I actually like starting my week with some exercise. Monday also means the ward is normally-staffed again, so I can usually go for walks in the afternoon. On week-ends, if I’m lucky, I can squeeze in a walk right before handover. Now yesterday and on Saturday I was able to get some nice walks with the staff, but that is very unusual. Mondays also mean a fresh start to a new week. Of course you can make a fresh start at any moment, but a Monday (like the beginning of the month or year) feels particularly good for it. It is a good time to set weekly goals. Therefore, to finish off this post, I am going to share some goals for this week. Go to the gym tomorrow. Exercise on the elliptical trainer or stationary bike at least two more times this week. Write down my concerns re moving to the tiny village and discharge from the institution for my psychologist. Be well-prepared for my appointment on Wednesday. Finish off my polymer clay necklace at art therapy on Thursday. Decide for myself whether I want to continue my Open University course. Continue to write a blog post each day. I will also be baking apple pie tomorrow at day activities to “celebrate” the eight-year anniversary of my institutionalization. Maybe I’ll share about that tomorrow. 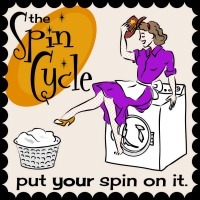 This week on the spin cycle, we’re discussing firsts. Last Friday, I visited a woman I first met at the blindness rehabilitation center in 2005. Another guy we both met there too also came over. This was my first time meeting them since I graduated from the rehabilitation center. The rehabilitation center experience was quite interesting. I had just graduated from high school two months earlier and didn’t want to go straight to university. So in order to have some practice on my first steps towards independence, I became a resident there four to five days a week for four months. The program was quite intensive. I had orientation and mobility training, occupational therapy, physical therapy, music, textile arts and handycrafts, as well as three different types of communication training and counseling with a psychologist. I also had vision therapy. During orientation and mobility training, I learned to plan to go someplace and to travel there effectively using my white cane. I learned to be quite a good cane traveler even though I’d always had trouble using the cane correclty, and still do. After about six weeks at the center, I started using public transportation to go there on Monday and to travel back home on Thursday or Friday. I also learned to travel to and from the local supermarket and to use customer service to get my groceries. Occupational therapy had several components to it. First, there was the teaching of housekeeping and cooking skills. I didn’t yet master these when I graduated from the center, so went on to live at an independence training home afterwards. Another part of occupational therapy was group-based training in compensating for our visual impairment with our other senses. This, for me, was quite easy in the practical sense, but my social skils difficulties emerged there. There was one great workshop on applying make-up without sight. I loved it. I also had physical therapy because I have poor posture and had developed mild scoliosis as a result. Physical therapy wasn’t all that effective, because I didn’t practise the exercises out of session. Vision therapy was very interesting. At first, I had a vision therapist who didn’t acknowledge my admittedly tiny fraction of residual vision. When at one of the communication sills training sessions though, another vision therapist joined the trainer and I arranged for sessions with her. My vision was still virtually non-existent, but I learned a lot about what I could and couldn’t do with it. I also had an opportunity to select NoIR sunglasses that would help me cope better with my light sensitivity. This vision therapist was very patient and thorough in answering my questions. Though in the end my emotional adjustment problems surfaced, which of course she wasn’t trained in dealing with, I did feel very much validated. Music, textile arts and handycrafts were quite useful too. Though I didn’t practise what I learned there for another few years to come, the instructors there taught me that I could indeed do arts and crafts with no vision. Music wasn’t my cup of tea, so I stopped playing the keyboards after graduating from the center. The communication skills training sessions were great. I took basic communication skills, assertiveness and communication about your visual impairment. I had one trainer for both basic communication skills and assertiveness and another for the communication about your visual impairment training. The first one was great at letting me see that, if I moved past my anxiety, I could be quite sociable. The second trainer was the one who cooperated with the vision therapist. Counseling was the least useful bit about the rehabilitation program. The psychologist was blind herself and for one thing didn’t grasp my emotional adjustment issues. She focused on the fact that I had to put non-disabled values into perspective and for example learn to ask for help. Though I did accept this eventually, I still couldn’t cope with the many losses of vision loss. I don’t think a four-month-long rehabilitation program is enough for that anyway, as I still don’t fully accept this ten years on. However, the other problem was we just didn’t click in terms of communication styles. I didn’t open up easily and there just wasn’t enough time in the program for me to work on even just those issues that are due to blindness. I understand that, but the psychologist could’ve refrained from rushing me through a dozen issues. I was a residential client there even though the rehabilitation center was in my home city. In the evenings, the clients spent lots of time amongst ourselves discussing our rehabilitation process. This was very healing to me. It also was a great opportunity to practise social skills. Even though my rehabilitation was supposed to be my first step towards independence, I was in many ways at my highest point in terms of independence while there. I don’t like to admit this, since I did learn other sklls in the ten years since. Also, the fact that I didn’t become more self-reliant makes it look like I just need a kick in the pants. In fact, however, the program had lots of one-on-one instruction incorporated, which I can’t get now that I’m a mental patient. I still grieve this loss of independence, but this possibly has to do with my adjustment to my psychiatric illness.